General Motors is announcing plans to add 400 jobs and build a new electric vehicle at a factory north of Detroit. The $300 million investment comes less than a week after a series of critical tweets from President Donald Trump over the closure of GM's Lordstown, Ohio factory. The company says the investment in its Orion Township, Michigan plant will enable the factory to manufacture a Chevrolet vehicle based on the battery-powered Bolt. GM wouldn't say when the new workers will start or when the new vehicle will go on sale, nor would it say if the workers will be new hires or come from a pool of laid-off workers from the planned closings of four U.S. factories by January. Mr. Trump last weekend publicly aired his discontent over the Lordstown factory's closure, issuing a series of tweets that urged the automaker to either sell or reopen the plant. GM CEO Mary Barra said in a statement that the company "will continue to invest in our U.S. operations where we see opportunities for growth." GM spokesman Dan Flores said the investment has been in the works for weeks. Indeed, GM has said it planned to build more vehicles off the underpinnings of the Bolt, which can go an estimated 238 miles on a single electric charge. The company has promised to introduce 20 new all-electric vehicles globally by 2023. "Right now, we're focused on the people of Lordstown, making sure they have opportunities because we do have jobs," Barra told reporters following Friday's announcement. "We want every single person in Lordstown to stay within the GM family, and that's what we're working on." "I will not spoil a great occasion here today. But there is hardship amongst four of our locations. And we've made it clear that we disagree with that," UAW Vice President Terry Dittes said. "I understand a lot of the angst that people are feeling, and I feel it, too," Michigan Gov. Gretchen Whitmer said Friday. "And I want to make sure that GM knows that their investment here in Michigan is encouraged and welcomed and appreciated. And we're going to keep doing that." 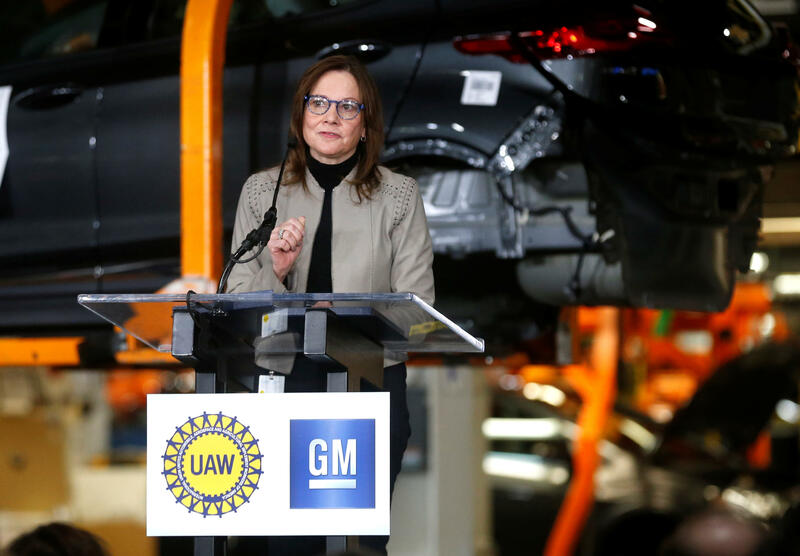 "General Motors is committed to supporting U.S. manufacturing, including the great states of Ohio and Michigan," said Barra, who maintains that she sees no further layoffs or plant closures through the end of 2020.